The Tektite is known for raising one’s vibrations and strengthening the aura, making it a wonderful stone for those who are working to spiritually advance in this lifetime. One can work with the Tektite during meditation to expand consciousness beyond current limitations, and bring deeper insights into current situations or problems. Those who are having trouble with negative entities can use Tektite in their pillowcase to help deter them. Regular work with Tektite can activate and enhance psychic abilities, is thought to encourage telepathy, and can help with lucid dreaming and astral travel. Tektite can sometimes increase the frequency of synchronicities, making it helpful for manifestation programs. Those who consistently carry Tektite during their spiritual work may begin to experience a thinning of the veil between dimensions. 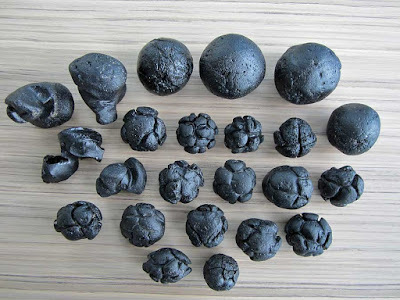 Tektites offer some healing energies to help with the increase in vibration of human beings. Those experiencing blockages in the lower chakras will benefit from the ability of Tektite to clear them, although it is not a grounding stone. The Tektite can create a powerful energetic link between the lowest and highest chakras, facilitating the free flow of energy throughout the subtle bodies. Working with Tektite can enhance the ability to discern between truth and falsehoods one encounters in daily life. Physically, Tektites help to enhance and accelerate healing from illness and injuries. Placed on the Third-Eye Chakra, Tektite can enhance the integration of higher energies received from other realms. The unique energies of the Tektite are immediately noticeable to those sensitive to the energies of crystals. Tektites are commonly regarded as stones of luck in many cultures. Currently, there is some controversy surrounding the origins of Tektite. Some archaeologists suggest that these glassy Tektites were formed by some sort of atomic explosion. Others feel that the Tektite is a natural glass formed from a meteorite impact melting the local rock. There are many theories about how this could have occurred and is the subject of continuing debates. These are Natural Tektite Formations which is Silica formed by the impact of meteorites on the Earth's surface. Tektites are found all over the planet and are commonly regarded as stones of luck in many cultures. The extraterrestrial energies of Tektite are immediately noticeable to those sensitive to the energies of crystals. Tektite is known for raising ones vibrations and strengthening the aura, making it a wonderful stone for those who are working to spiritually advance in this lifetime. One can work with Tektite during meditation to expand consciousness beyond current limitations and bring deeper insights into current situations or problems. Those who are having trouble with negative entities can use Tektite in their pillowcase to help deter them. Regular work with Tektite can activate and enhance psychic abilities, is thought to encourage telepathy, and can help with lucid dreaming and astral travel. Tektite can sometimes increase the frequency of synchronicities, making it helpful for manifestation programs. Those who consistently carry Tektite during their spiritual work may begin to experience a thinning of the veil between dimensions. Tektite offers some healing energies to help with the increase in vibration of human beings. 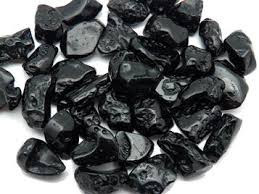 Those experiencing blockages in the lower chakras will benefit from the ability of Tektite to clear them, although it is not a grounding stone. Tektite can create a powerful energetic link between the lowest and highest chakras, facilitating the free flow of energy throughout the subtle bodies. Working with Tektite can enhance the ability to discern between the truths and falsehoods one encounters in daily life. All meteorites, including Tektite, are believed to help people in their ascension process into the higher realities. 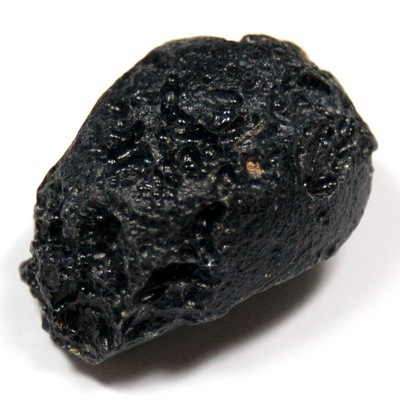 Physically, Tektite is believed to enhance and accelerate healing from illness and injuries. Placed on the Third-Eye Chakra, Tektite can enhance the integration of higher energies received from other realms. Tektite is good for both Aries and Cancer.